Modern Water has won a coveted 2018 New Product Innovation Award from Frost & Sullivan, an internationally recognized market research firm. Based on its strong overall performance, Modern Water’s Microtox Continuous Toxicity Monitor (CTM) Series was recognised for how it reduces the risk of missed toxicity events by taking two measurements per second – compared to conventional on-line toxicity monitors that only take intermittent samples and provide only one test result in typically 15-30 minutes. 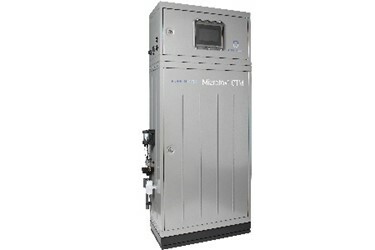 Frost & Sullivan’s meticulous evaluation of numerous water quality monitors also noted how Modern Water’s Microtox CTM continuously measures the chemical toxicity of a water source to give instant indication of water health – and for its capability in detecting a broad range of toxic chemicals and compounds (over 2700 different chemicals). Doug Workman, President of Modern Water’s Monitoring Division, commented: “This Innovation Award from Frost & Sullivan’s extensive study is important recognition of the technological developments we’ve made in our advanced bioluminescence technology Platform. Our Microtox CTM offers a fully autonomous operating cycle for monitoring water quality, yet only requires a low level of skill for both operation and maintenance”. He added: “The capability of the Microtox Series in applications such drinking water and municipal waste water intake protection is bringing us continued success in Europe, North America, the EU and Asia”. Modern Water owns, installs and operates world-leading membrane technology and develops andsupplies advanced systems for water monitoring. Modern Water has developed and commercialised world-leading patented Forward Osmosisdesalination technology which can be used in a variety of industries. Its benefits include lowerenergy consumption, improved water quality and lower environmental impact. With a sales presencein almost 60 countries, the Group's Monitoring Division includes a leading real-time continuoustoxicity monitor and trace metal analysers for monitoring the quality of drinking water.